$8K Value! TAP FEES PAID! $500. Annual HOA! Low Taxes! No build out time! This beautiful ''high and dry'' lot is the perfect spot for your custom home! Lot 93 is a little over 1/2 acre and is located in a quiet cul de sac. Newly completed home nearby. 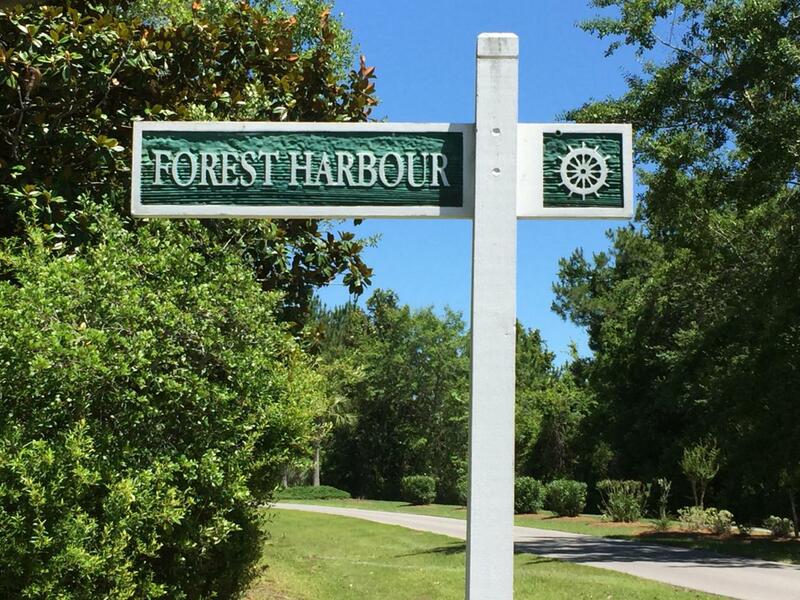 Bay Harbour is Freeport, Florida's premier Bay Front Neighborhood. Beautifully landscaped and well-managed. 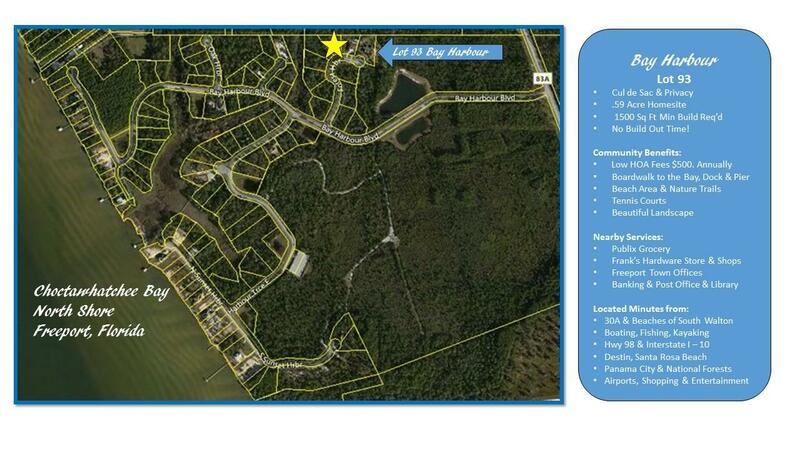 Come to see the nature trails, reflecting ponds, tennis, boat storage, community pier & dock for fishing. 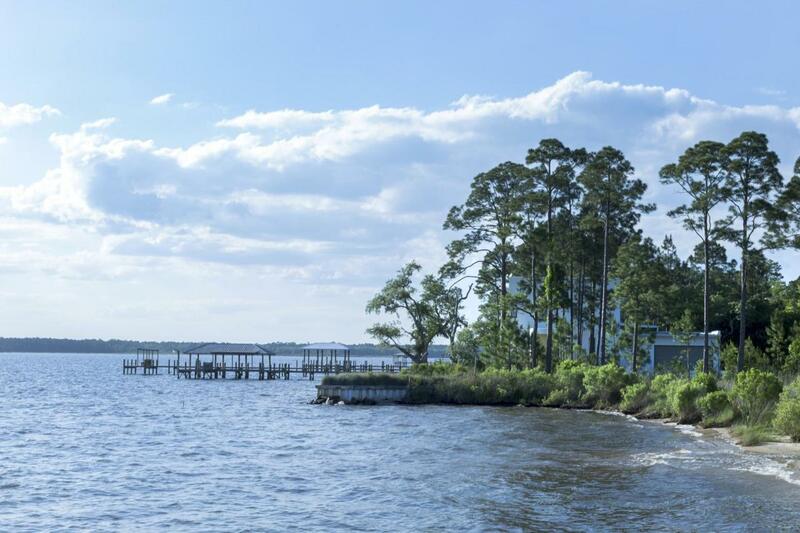 Enjoy life near Choctawhatchee Bay! Come to see what living in this premier Bay Front neighborhood has to offer!